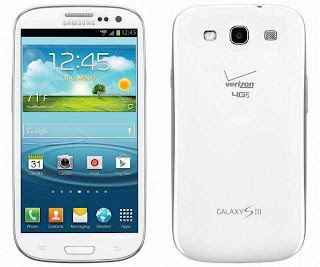 This article will troubleshoot a Verizon Samsung Galaxy S3 that cannot send and/or receive email messages using Verizon's email domain (username@verizon.net). Email problems are among the most common issues anywhere in the world and while it is easy to troubleshoot the problem, some people may just don't have any idea how to. This post is for the people who are not so technical. Recently, the inbox on my Verizon Galaxy S3 hasn't been updated; meaning, I haven't received emails for about 3 days already. I am using a Verizon.net email address. It used to work since I bought the phone last year. It was only until recently that my email started doing this. Could you please help me with it? Thanks. The following procedures are important to diagnose what the problem really is and how they can be fixed. Step 1: Reboot the phone. Before doing anything else, it is recommended you restart the phone, or better yet soft-reset it. This procedure will eliminate the possibilities of temporary device and app problems. If the problem were indeed temporary, you would start receiving emails once the phone is up. Step 2: Make sure you have active internet connection. It's common sense, if you don't have an active internet connection, either through WiFi or mobile data, you wouldn't be able to receive emails among other things. So, before you mess up with the settings in your phone, see to it you can browse the web. Otherwise, spend time troubleshooting your internet connection rather than your email. Once you are sure the settings are correct, force close the email app from the Application Manager and launch it again to see if emails come in. Step 4: Clear email cache and data. The reason why I placed this procedure at a later part is because you may lose your previous emails and settings when you do this. I don't want you to go through the setting up of your email account but if all things fail, this is one of the very few options left. Tap Settings and select Application Manager. Go back to Home screen and touch Apps. Step 5: Call Verizon and ask for server status. There are always time when providers would have to interrupt their service for maintenance. During this time, the servers may be down and you won't be able to send and receive emails. Calling Verizon's hotline and asking the status in your area would give you an idea. Step 6: Factory reset. This is your last resort because there is a lot of work to do to make sure your important data wouldn't be lost along the way. Backup your files, your apps and everything you wouldn't want to be lost. In case the problem persists after doing this, bring the phone to Verizon store near you and have it checked by their technician. We hope this troubleshooting guide have help you. If it did, please share this post to others who may also have some problems with their phones. Thank you.